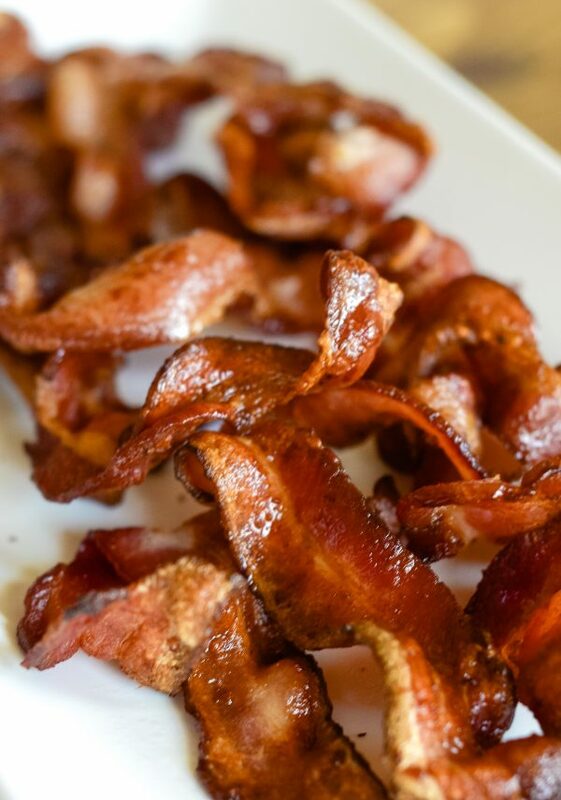 Learn exactly how to make crispy bacon in an air fryer, and then enjoy air fryer bacon. 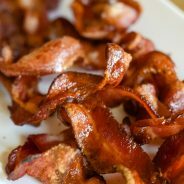 How do you make Crispy Bacon in an Air Fryer? It’s simple! The air fryer does the work for you. That’s just the magic of an air fryer. The bacon will be placed in the basket of the air fryer, and then you will simply cook it for 10 minutes at 350 degrees. It’s that easy! I always recommend checking it about halfway through the cook time and turning it as well. Can you use Aluminum Foil in an Air Fryer? Yes, you can use foil. I do this often; however, you want to be sure that the entire basket isn’t covered. The purpose of the air fryer is to get the air circulating to cook, so you do not want to close off all of that air into the basket. I usually will place it right under the food and roll it up on the sides so that the air is still circulating, but again it’s less mess when you clean up. I’m all about making the clean up as easy as possible. Does Air Fryer Bacon taste good? I will tell you that this is a huge debate in our house. I LOVE Air Fryer Bacon, it’s my preferred method of cooking bacon. I actually make it this way nearly every week. My husband though prefers to cook bacon on the stove in a cast iron skillet. He swears it tastes better that way; however, I have to disagree. I can’t taste the difference. I can tell the difference in the clean up of just how easy it is to clean up after I make it in the air fryer. When I make it on the stove, grease is popping and there is just a mess. The air fryer keeps the bacon grease contained! 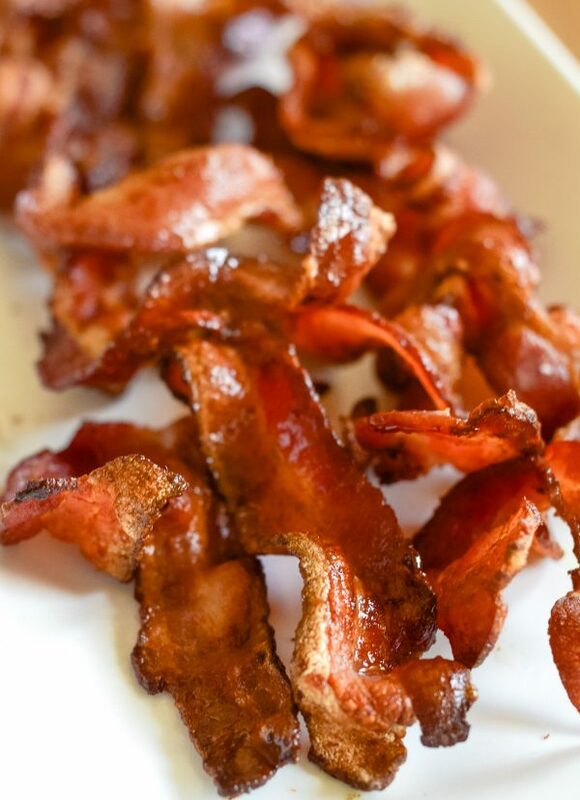 If you do not have an air fryer, be sure to check out how to bake bacon in the oven. What is the best Air Fryer? There are so many great air fryers, but I recommend reading this article on “How to Choose the Right Air Fryer,” before you buy one. I am now using a Ninja Foodi, which I HIGHLY recommend. It’s absolutely amazing. The Ninja Foodi is an all in one appliance. I use it to air fry, pressure cook, sauté, and slow cook foods now. I literally gave away all of my other appliances because this one does it all. 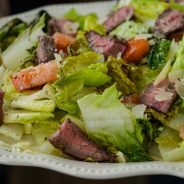 This is a great Ninja Foodi Recipe! 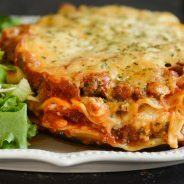 It is so easy to use it to make full meals. I made mashed potatoes with the instant pot function and while those were cooking, I was able to air fry a steak and asparagus too on top of the potatoes. It’s magic! In saying that though, it is very simple to find a good air fryer that will work for your family. 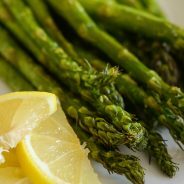 Remember that they all tend to heat differently, so when you read an air fryer recipe, I always suggest checking in on the food about halfway through the cook time to be sure you do not overcook. That also goes for undercooking too, there are times where recipes take longer in different air fryers too. Also, don’t give up on your air fryer, it takes a little bit to get the hang of it. Start with easy foods, maybe even frozen foods that you cook in it and then eventually you progress to full meals. 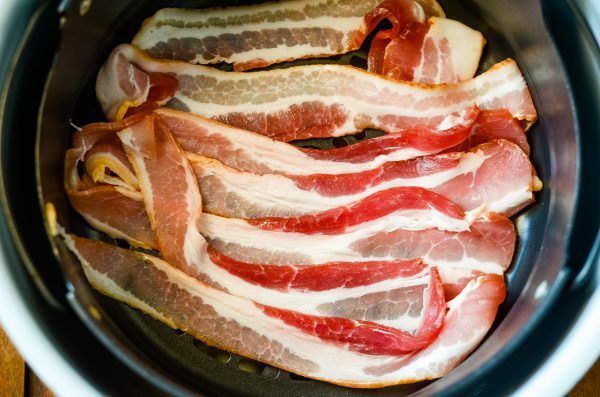 It’s time to make crispy bacon in an air fryer. 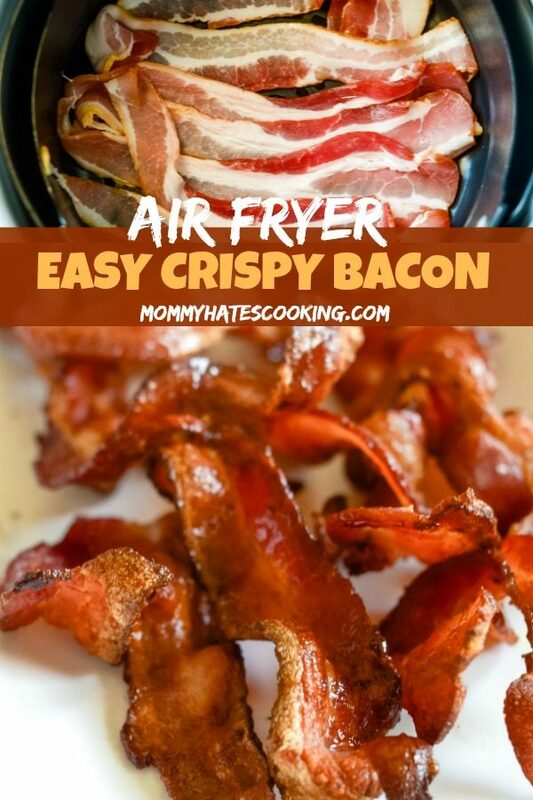 This method is so simple, all you need is the bacon and your air fryer. Let’s get started! If you love this Crispy Bacon in an Air Fryer, I’m sure you’ll enjoy this Air Fryer Sausage Breakfast Casserole too. 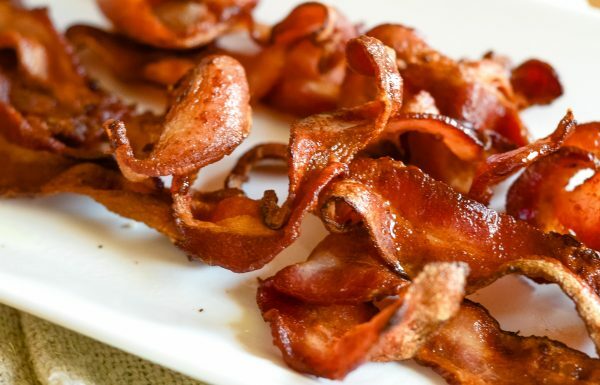 Learn to make crispy bacon in an air fryer with this air fryer bacon recipe. Add bacon into the air fryer basket, evenly. This may take 2 batches to cook all of the bacon, depending on size. Cook at 350 degrees for 5 minutes. Turn bacon and cook an additional 5 minutes or until your desired crispiness. Remove bacon with tongs and place on a paper towel lined plate.